Sherry Turkle is a professor and a licensed clinical psychologist. Her recent work is Alone together: why we expect more from technology and less from each other, which talks about how the relationships are changing with technology and how it is affecting the people. It talks about the details, how the technology has redefined the views of how we think about the intimacy and loneliness (Sherry Turkle, 2010). It also warns the dangers of having such relations then emotional connections. In her past books like the second self: computers and the human spirit and the Life on the screen, had a different prospective then the present book that is, Alone Together. In her previous work, she had spoken about how the technology and the Internet have come together and have changed the world for human beings. She had spoken about how computer has made us aware about our surroundings in term of relationships and self awareness. She has termed technology as a catalyst that had important role in changing our thinking and also what we do. She had also mentioned that how the computers have changed the perception of living in our lives. Also, how the computers have changed from being a calculator to search engines and interactive tools. However, her recent work that is Alone together: why we expect more from technology and less from each other talks about whether the technology and Internet leaving us lonelier (Aleksandra Korolova, Rajeev Motwani, Shubha U. Nabar, and Ying Xu. 2008). It discusses how today’s technology had created loneliness for the people and hostility and also both of them are dangerous for the human kind. If we compare the work, there is lot of difference in the thinking and writing process. As initially she had spoken about all the goods of having technology and how these technologies are giving the shape to the mankind. In the current book she had criticized the threats of technology and social media on culture. More than anyone else, it is Steve Job, who is responsible for the digitech culture in today’s era. He is the man who has changed the whole perception about communication, media, entertainment and interaction. His work had also changed the thinking of the mankind. He has changed the style of doing business with the client and with self due to his technologies. His products are simple, easy to use, well designed and sleek and with lot of technology input which are complex but user friendly. He is the one who is responsible for this change, because he thought beyond the tool and about its application on day to day basis. It was his eagerness to give something special and user friendly to the world that made him come up with apple products which are best in the technology as well as sleek to look at. 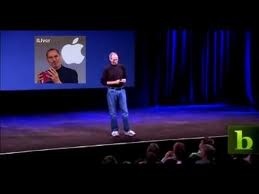 Steve Job created world of user friendly products at affordable prices. 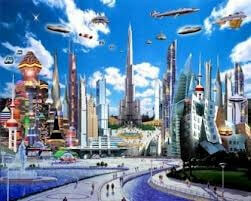 Some of his work included iMac, iBook, iPad, iPhone, iPod, Apple II. With each of his work he has given something new to the world. It was only under his leadership, that apple was able to make such products which suites the needs of people from all walks of life. The computers like iMac and apple two have given a boon to the business world. It was his innovative ideas which changed the world of hardware and software computers. It was his hard work that gave the world personal computers, because before this the computers were like heavy tools used only at business houses and government offices. It was his master mind that changed the whole definition of computers and its uses. 3. Facebook is Popular, but is it significant? 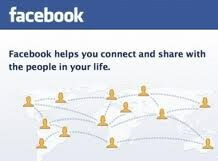 Facebook is the second website after Google, which is visited by the world. Therefore, we can say it is the second most visited website. This is because; Facebook has now become a mode of communication with family and friends. It has become like a communication and connectivity platform for the people, where they can connect to people around the world and communicate with them. The website is termed as a social networking site; however, it is more than that. Facebook is now not only a networking site for people but has popularly become an engagement zone for the business people and business hubs (Ajith Sundaram. 2010). Facebook is significant when it comes to promoting brand awareness and costumer relationship. Facebook is relevant to few businesses as it takes lots of time on Facebook engagement and managing the Facebook page. People are using Facebook to create awareness not only about the business but also about the socio-cultural issues, political issues, etc. It is because of the significant use of Facebook in terms of creating awareness, that some of the countries like Republic of China, Pakistan, Syria, Iran and Bangladesh have blocked the site due to different issues. Facebook is popular as well as significant. Significant in terms of creating and maintain relationships with people sitting far from you (Back, M. D., Stopfer, J. M., Vazire, S., Gaddis, S., Schmukle, S. C., Egloff, B., and Gosling, S. D. 2010). They are significant for creating awareness on different issues, which needs to be put across the world. Also, some of the NGOs also take support of Facebook pages to create awareness. Now Facebook is becoming famous and popular among people from all walks of life. Let it be sports person, industrialists, business man, celebrities, all believe in creating a brand and also marketing the brand. Facebook has given a platform to such people to create a brand and market the same. Therefore, according to me, Facebook is significant in today’s era. Ajith Sundaram. (2010). 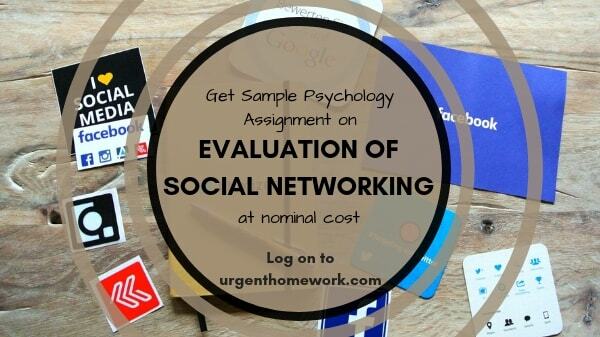 Evaluation of Social networking sites for business application. Aleksandra Korolova, Rajeev Motwani, Shubha U. Nabar, and Ying Xu. (2008). Link privacy in social networks. Back, M. D., Stopfer, J. M., Vazire, S., Gaddis, S., Schmukle, S. C., Egloff, B., and Gosling, S. D. (2010). Facebook profiles reflect actual personality, not self-idealization.